Digital helped the video star? Digital copies bundled with each Blu-ray discs represent the best way for people to satisfy both their need for a physical product and a future-proof format that they buy, according to Twentieth Century Fox. 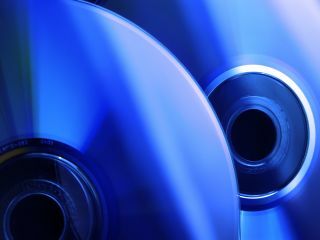 With the Blu-ray format celebrating its fifth birthday, surviving an early format war with HD DVD to become the successor to DVD, questions remain about its longevity as downloads and digital copies flourish. But in an extensive interview with TechRadar, Danny Kaye, Twentieth Century Fox's executive VP for global research and technology strategy, expressed his belief that bundling physical and digital was pleasing everybody. "We do think there is confusion in the market over several things and we're working with industry bodies alongside other studios and manufacturers to help educate consumers on the benefits of Blu-ray," said Kaye. "To help minimise consumer confusion one of the things we talk about is Blu-ray as the 'perfect hybrid' – bridging the gap between physical and digital for consumers. "It allows consumers to own a physical disc which we know there is demand for but acts as a gateway to the digital world now, with electronic copies in the box, and in the future with Ultra Violet." "It's a versatile pricing model and, we believe, the fairest way to buy movies as you 'pay once, play anywhere'."